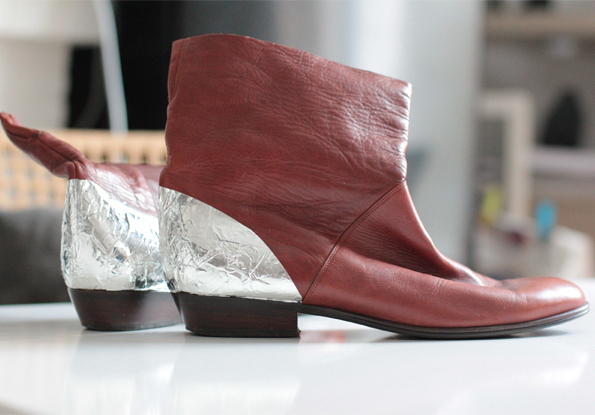 What you'll need: An old pair of boots, silver metallic tape (hardware store), scissors, pattern paper, pencil. 1. I got an old pair of boots, because they were broken. He thought I might could do something with it, that's exactly what I did. 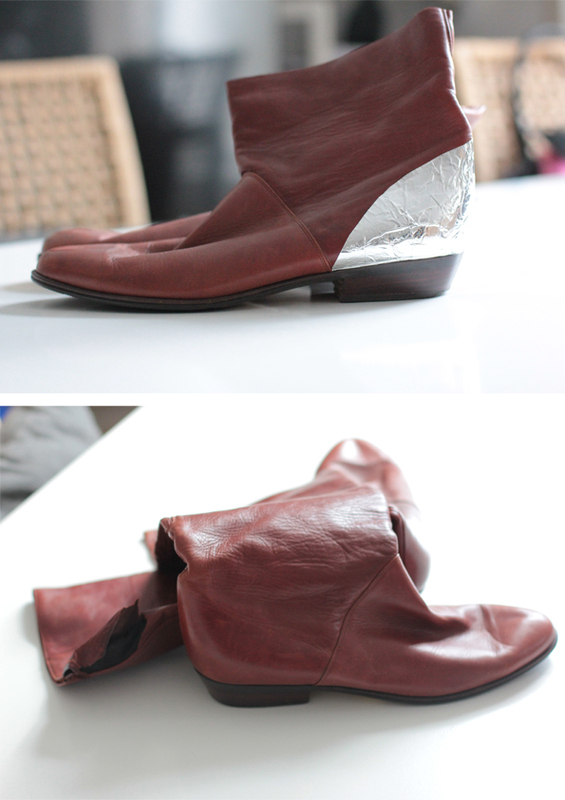 First cut off the bootleg, turning them into ankle boots. 2. Use pattern paper to make a pattern for the heelcap. 3. 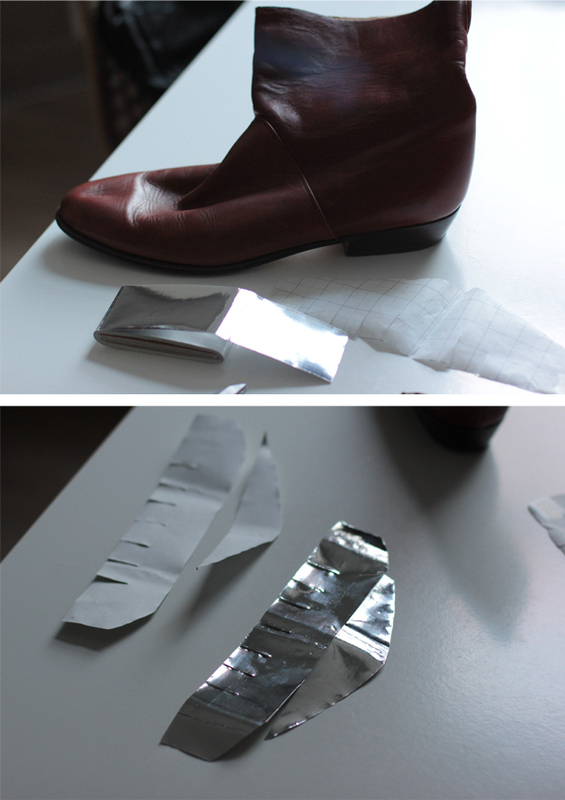 Trace the pattern onto the silver foiltape and cut the shape. Paste the two pieces onto eachother. 4. 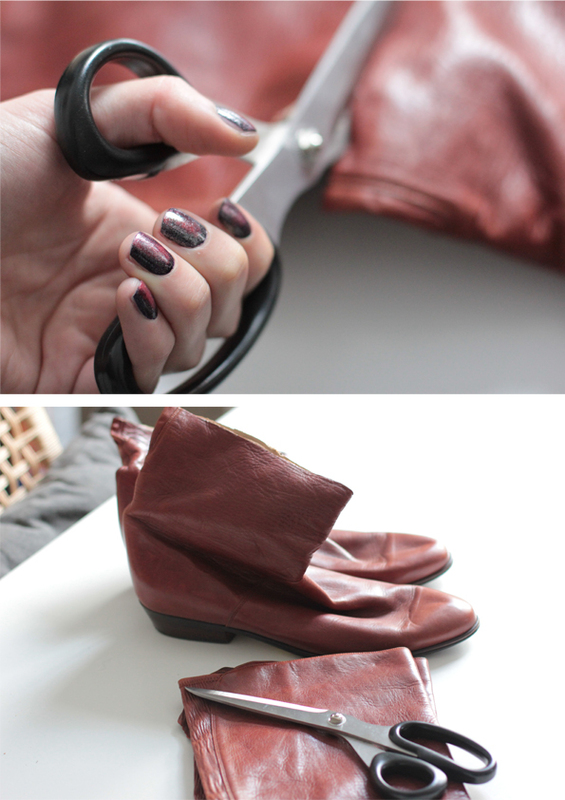 Take off the back side of the tape, stick the tape onto the heel. This is quite difficult since the tape tears apart with the smallest pull or pressure. Make sure you've made the small cuts, so you can bend it in a round shape. Press onto the silverfoil to make the wrinkle equal. You're done! Ontzettend leuk! Zo simpel en toch zo effectief! Thanks for your lovely comment. Hope to see you back soon!